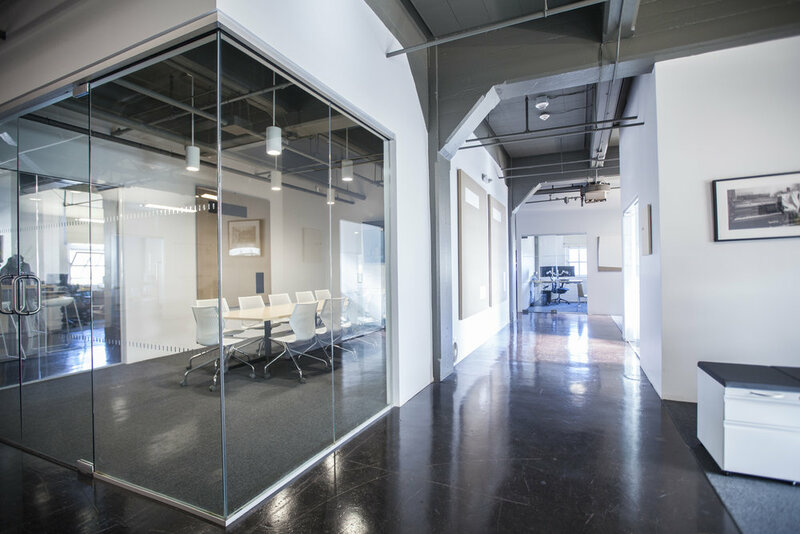 Natural light fills the space and creates a bright calm atmosphere as you first enter the office. 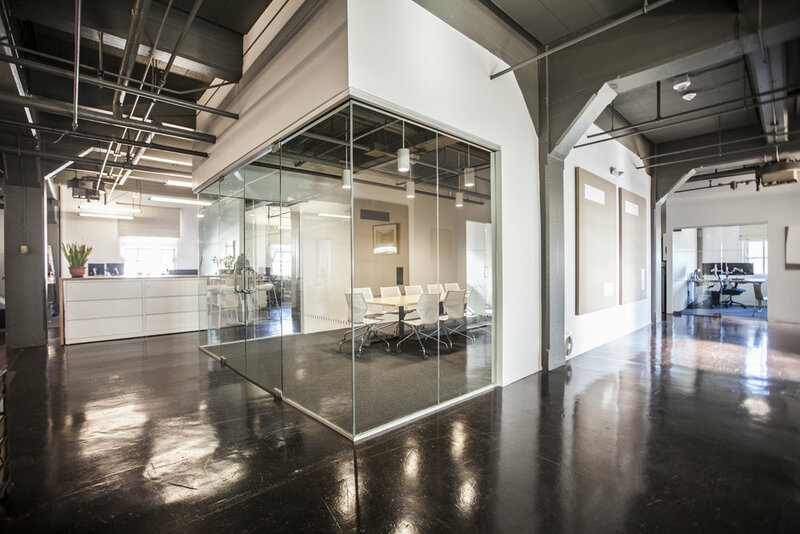 The walls were replaced with glass to open the space with light and create space within the office. 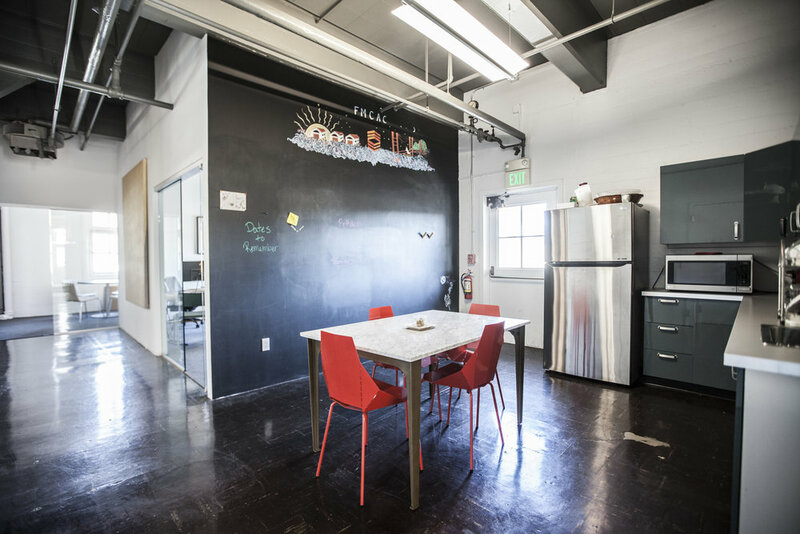 The open floor plan allows for casual meeting areas and takes advantage of the small space. We love to celebrate the existing structure. Here, the open ceiling and large beams are left exposed, painted in a deep grey. The private offices capture at least one window, making them bright & relaxing places to work. 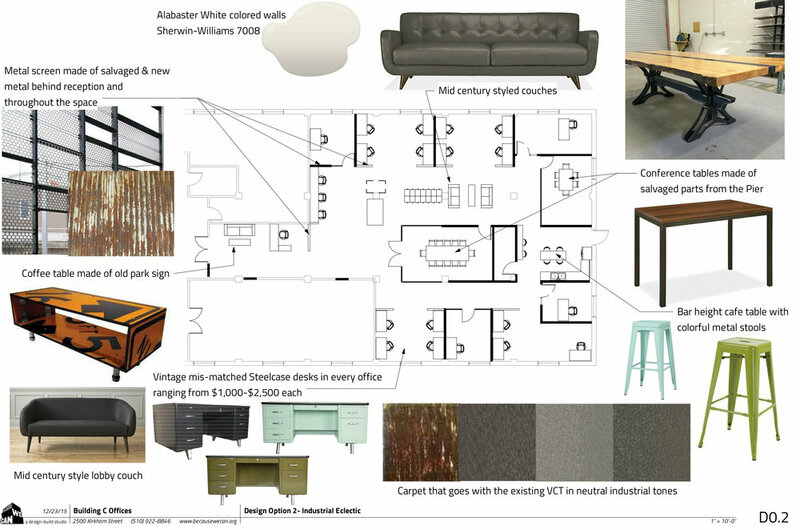 We always do concept drawings for our clients to start the conversation and create the overall aesthetic of the space. These drawings always change as the project evolves, driving the eventual design. 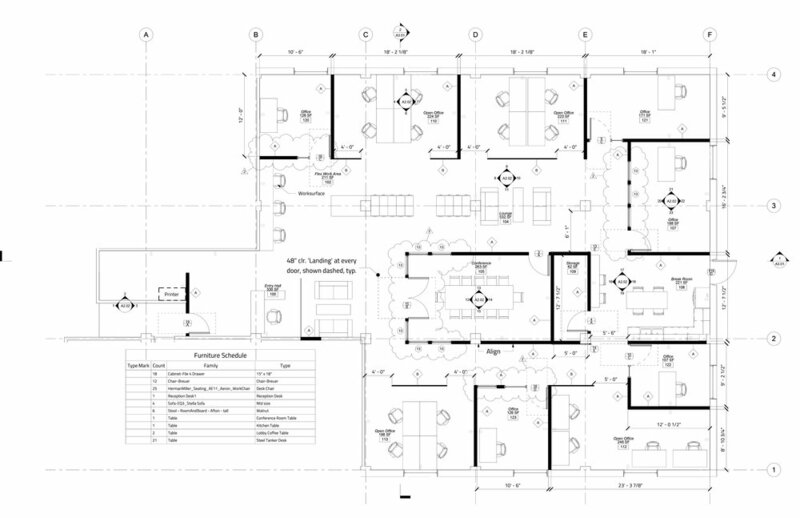 The final final floor plan opened up the space and created light within this historic building. We had the original floor cleaned and polished, bringing back the original luster & keeping the history of the space. Pairing the original floor with soft contemporary carpet to add a modern and livable touch to the space. Touches of modern fun and brightness added to the kitchen area with a floor to ceiling chalk board. 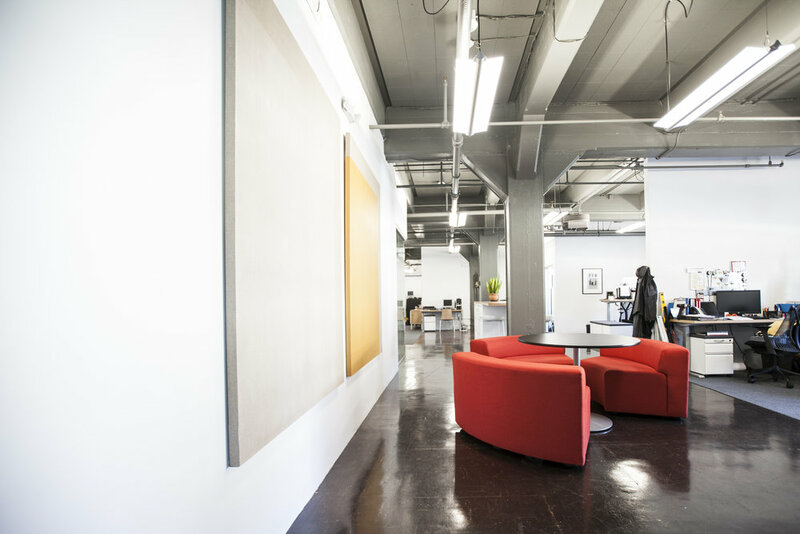 Simple seating and meeting areas throughout the space break up an open office. Revealing different eras of flooring, we decided to celebrate these historic moments by restoring what we could, leaving what was there and adding some areas of simple carpeting to break up the space. Clean modern furniture was used to compliment the drama within the space given by the large beams, patterned floor and open ceiling. 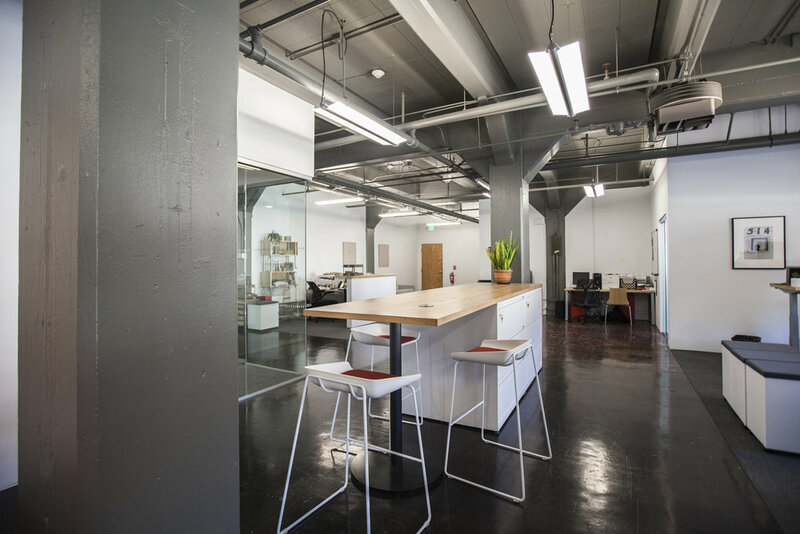 This project was a remodeling & renovation on a floor of a building in the The Fort Mason Center, a Historic Landmark District along the northern waterfront of the San Francisco Bay. 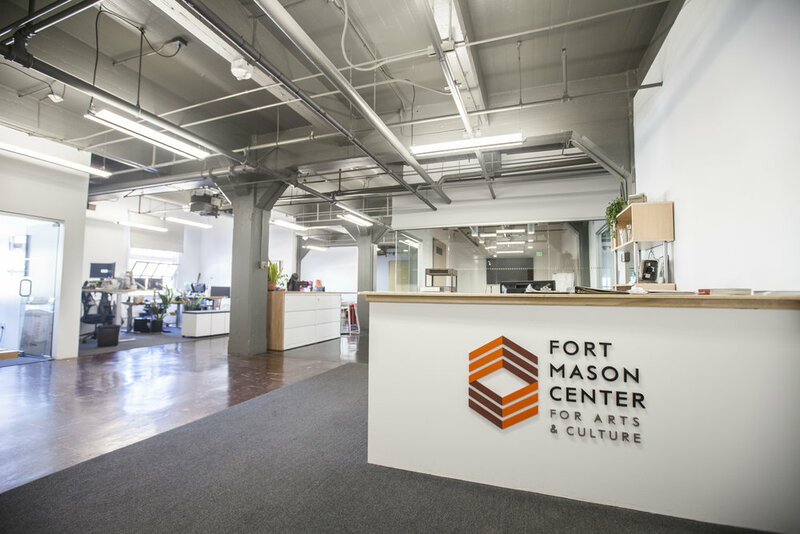 Fort Mason Center for Arts & Culture (FMCAC) is a nonprofit hosting an ever-evolving rotation of artistic programming for over 1.2 million annual visitors that includes theater and dance performances, art installations, as well as educational and cultural classes.